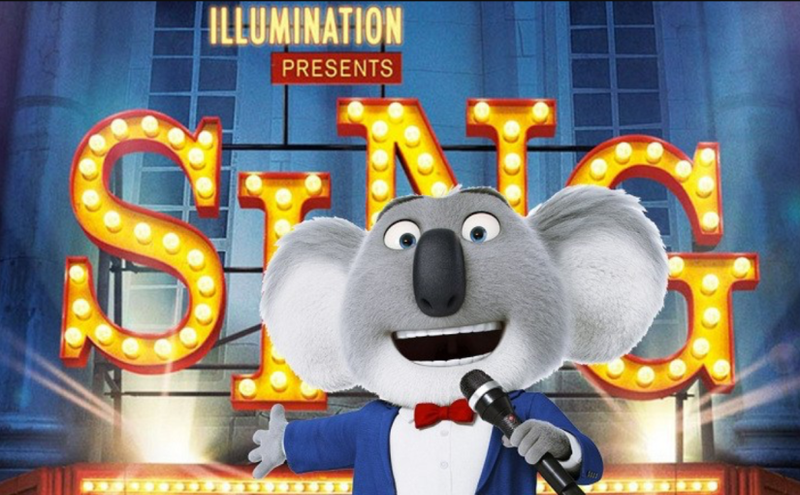 Hi all, today I have a review of the film Sing (which I really want to see!) Lovely Lyndsey went to see the film and is on a one girl mission to spread the word on how we should all go and see it! 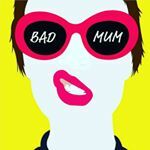 You can find Lyndsay over at shecanandshedoes on Instagram. 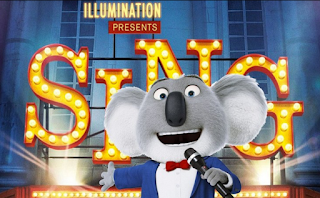 When me and the Bs went to a preview of Sing yesterday afternoon I genuinely didn’t expect to leave with a silly grin on my face or be moved to the point of writing about it half an hour later. I honestly can’t remember the last time I walked out of a cinema feeling that warm and fuzzy. First things first, this isn’t a review. If it was I’d have to bore on about how it’s not exactly ground breaking cinema and, as plots go, it’s about as formulaic as the TV talent shows it seeks to emulate. BUT if you’re wanting to be entertained by a big fat dopamaine explosion of easy-watching family fun (with an equally upbeat soundtrack) this movie pushes all the right buttons. It doesn’t even have a scary baddy in it, which ticks a box for us too. I’ve been trying to figure out why I (a notoriously fussy viewer) had such an extreme reaction to this film. Maybe it’s because I was still feeling robbed of the two hours I lost watching How to be Single the other night and the bar was low. Maybe it was a response to the overwhelming feeling of dread manifesting since waving the Obamas off on Friday. Maybe it was just REALLY GOOD, who knows? But I’m willing to bet the voices of Reese Witherspoon, Matthew McConaughey, Seth Macfarlane and co will have box office tills a ringing and the clever guys responsible for giving us Minions will be popping corks like nobody’s business. Because feel good, joyful, loveliness is what we want at the minute. 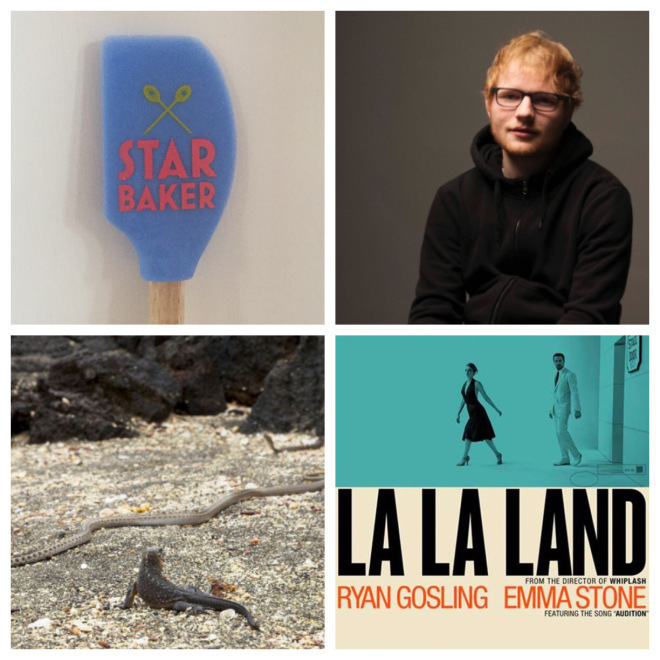 You just have to see how La La Land is capturing people’s imaginations – or remember how we all gravitated to David Attenborough’s Planet Earth II after watching the lizard outrun those pesky snakes – or even how cross we all got when those meddlesome programme makers dared compromise OUR Bakeoff by changing channels – to agree we want nice, we want familiar, we want charm and we want our hearts warmed. Is Ed Sheeran continuously topping whatever chart it is that matters these days with macabre tales of drug addict prostitutes on the breadline? No. he’s singing about falling in love and the good old days. Case closed. If austerity has traditionally produced powerful music, perhaps the white knuckle age we are now entering is forcing creative types to dig deeper, look on the bright side and provide some much needed escapism. We have two radios in our house that have been tuned to Absolute and Six Music for as long as I can remember. Is it a coincidence both are now firmly set to Heart FM? I do wonder. But getting back to Sing. Maybe it appealed because one of its core messages reminds us that when you get knocked down, it’s probably best to get back up and try again. And if there’s ever a time to embrace the sentiment it’s now, right? So at risk of being the one you all blame for raising expectations, I’m going to go out on a limb and say if you’ve got kids, go and see this movie. If you don’t have kids, borrow some and go and see it. If you can’t borrow any, wait for the lights to lower, creep in and see it on your own. 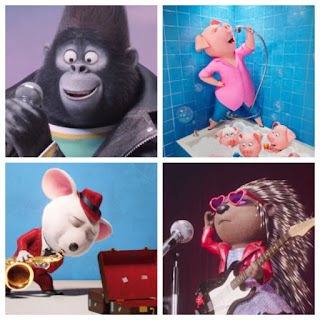 It might not be as smart as Zootropolis or Moana, but you cannot watch a pig in sequin onesie shaking it off to Taylor Swift without your toes tapping and your lips curling upwards. It’s cinematic Prozac. It’s, as Bruno Mars so elegantly puts it, ’24 carat magic’. And for the record, I can’t get enough of that at the minute either. Sing is in UK cinemas nationwide on Friday 27 January 2016.